Gondomar is a municipality just east of Porto. 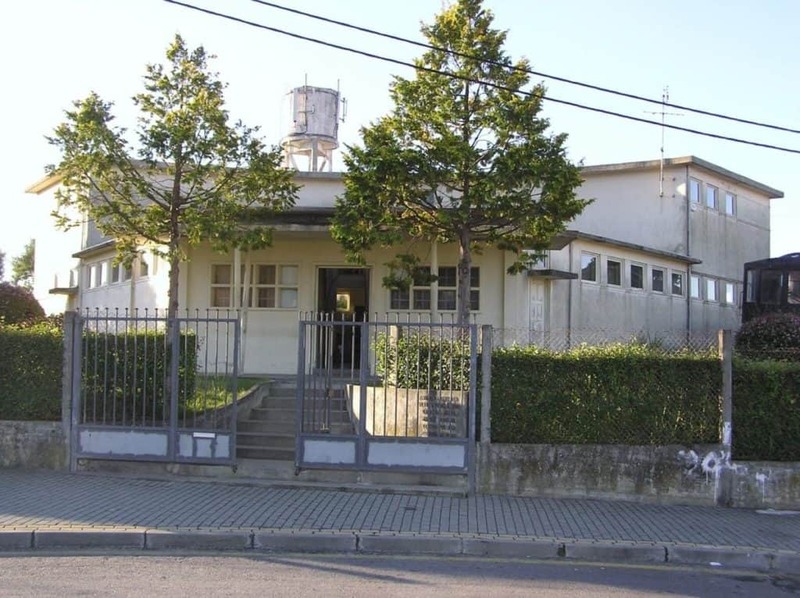 It’s a sizeable chunk of land, pushing from the eastern quarters of the city out into the countryside, and running along the right bank of the Douro for several kilometres. The area has opulent Baroque churches to poke around in, and a gorgeous 18th-century riverside estate with a garden that blooms with camellias in spring. 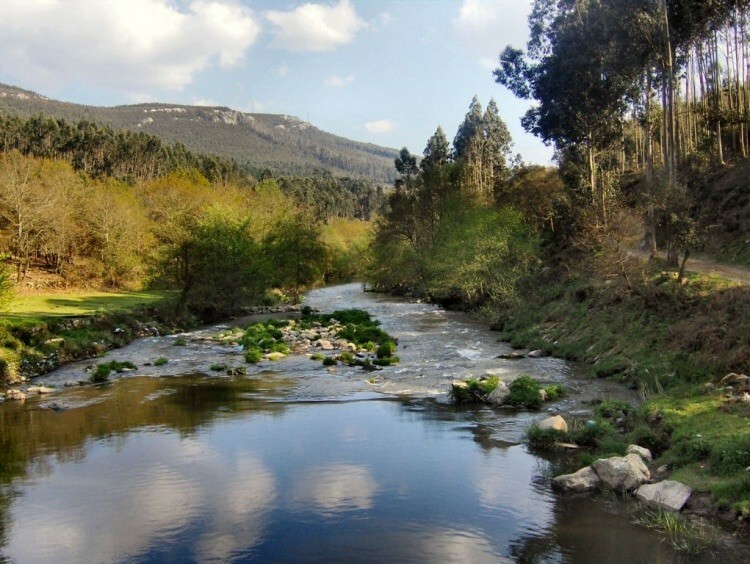 In summer Gondomar has beaches beside the river, and despite being in the Porto Metropolitan Area there’s secluded woodland for walks on mountain ranges streaked with scientific and historical interest. And if you need a little more life, Porto and its World Heritage monuments, bars, dining and culture is never out of reach. 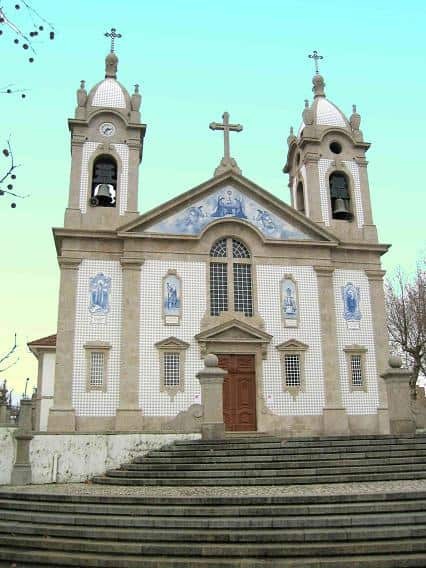 Possibly Gondomar’ shining historic monument is the main church, which was inaugurated at the beginning of the 17th century. You could behold the scene for a moment outside, checking out the sculpture on the granite and whitewash facade, which has two statues in niches above the main entrance: These are the patron saints Cosme and Damião. As was the fashion for churches from this period, this monument shimmers with gilded woodwork. This is most abundant at the main altar, which has retables with statues of Christ and the Virgin. 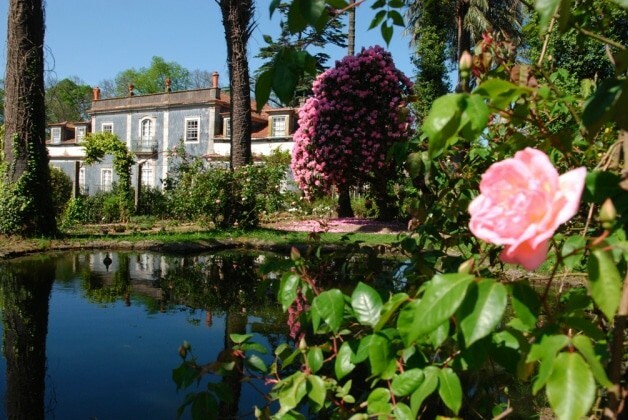 In the 18th and 19th centuries Porto’s nobility and wealthy merchants built themselves pleasure houses with sumptuous gardens on the outskirts of the city. Not many remain, so it’s great to see one that is intact and restored to its former glory. Villar d’Allen was commissioned by the English businessman John Allen, and the grounds combine a French parterre and a Romantic English-style garden with streams, a pond, a waterfall and plantations of species from the New World. The Baroque master architect Nicolau Nasoni was brought in to craft the sculptures and fountain. The grounds now serve as a nursery for exotic plants, and the camellias are a wonderful spectacle in spring. Seven generations later, the Allen family remains in the port wine business, and you can pick up a bottle on the estate. Anyone interested in the history of printing, both in Portugal and the rest of the world should keep this museum in mind. It’s right by the Quinta de Villar d’Allen, and is crammed with machines, many still in working order. The galleries are broken down into pre-printing, printing and finishing sections, and there’s automatic equipment from the USA, France, Germany and the UK, as well as manual moulds. You can browse wood types, lead types, linotypes, monotypes and intertypes, while one of the coolest things is a faithful replica of a Korean typographic press that predates Gutenburg’s press from the 15th century. There’s also a space for Rodrigo Álvares, the man who introduced printing to Porto in 1498. In the 20th century São Pedro da Cova in Gondomar was a crucial centre of industry for Portugal. You wouldn’t know it now, but workers were once shipped in from all over the country. There’s a very evocative remnant of its coalmining activity at the Cavalete do Poço de São Vicente, where the colossal concrete headframe is still standing. There’s also a mining museum at São Pedro da Cova in the old miners’ dormitory displaying minecarts, a reconstructed mine tunnel and all various paraphernalia like lamps, helmets and tools. 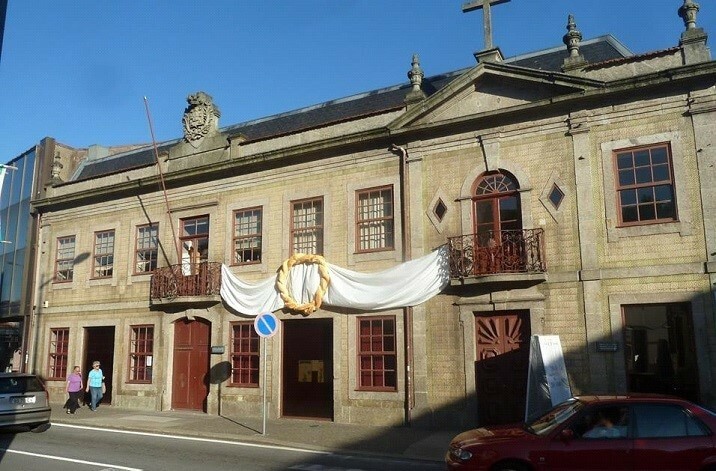 At Porto’s northeastern limits is Gondomar’s parish of Rio Tinto, which has its own fine church to call in on if you’re close by. This one is also from the 1700s, built over an older medieval church attached to a Benedictine monastery. The present building catches the eye for the blue and white tile panels on its exterior walls that portray the church’s patron saints. Even more impressive is the tabernacle inside, which is unique on the Iberian Peninsula. This golden ornament has four doors, three with images from the passion and one showing Jesus’ resurrection. There’s so much going on in Porto it hard to know where to begin. It’s a UNESCO World Heritage city, with churches, chaotic old neighbourhoods and one-of-a-kind monuments to fall in love with. Just to pick two from a hatful, Serralves is an astonishing Art Deco house sharing a divine garden with a contemporary art museum. And the Palácio da Bolsa is the old stock exchange, decorated with the Historicist tastes of the 19th century. There’s a breathtaking Neo-Renaissance courtyard under a soaring glass canopy and a Neo-Moorish hall with fastidious stuccowork. Be sure to wander the Ribeira quarter on the Douro and to head west to the beachside promenade at the Foz de Douro and Matosinhos. The obvious attraction on the left bank of the Douro is the port wine trade; the famous lodges or cellars have been here since the 1700s and you can visit the dock where the barrels would be unloaded. 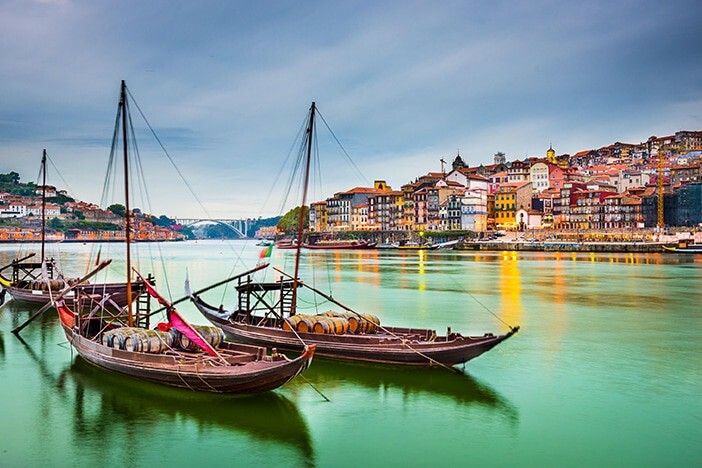 The wine was shipped here from the Upper Douro Valley to the east by traditional rabelo boats, and mixed with grape spirit to help it keep for longer. Port enthusiasts will need days to get through the many cellars, like Cockburn’s, Graham’s, Sandeman, Cálem, Croft, Taylor’s. The vistas on the left bank take in most of Porto’s old quarters, especially from the upper level of the Dom Luís I Bridge or the lofty terrace of the Serra do Pilar Monastery. Northern Portugal’s largest zoo is on the left bank of the Douro, just opposite Godomar. It’s in the Quinta de Santo Inácio, which was an estate founded by port wine traders in the 18th century. There are more than 800 inhabitants from 262 individual species, set in 15 hectares of greenery and woodland (including a huge savannah-style area for African grazing species). Kids should love it, but what will appeal to parents is that the zoo participates in breeding programs for a raft of endangered species like cheetahs, Asian camels and pygmy hippos. The neighbouring town of Valongo has a terrific local museum to introduce you to the old ways around Porto. 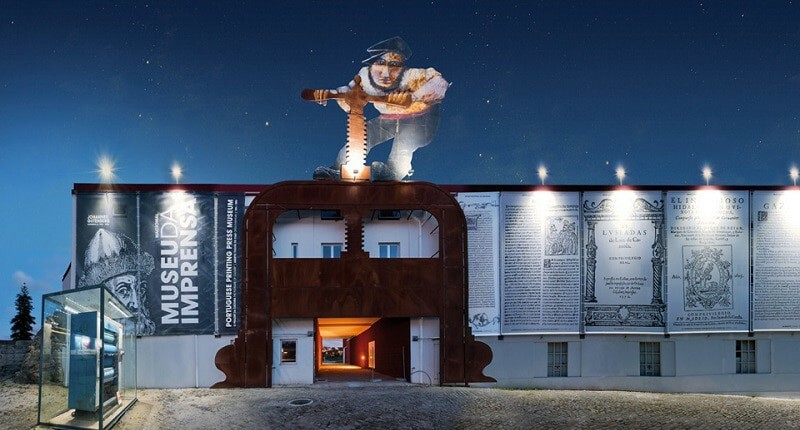 The venue is part of the charm, at a Neoclassical mansion constructed at the turn of 19th century and used as the town hall until this museum opened in 2001. Certain rooms have kept the original architecture, while others have been updated with modern museum galleries and showcases. You’ll peruse lots of precious religious art, and there are odd ceremonial puppets used in the famous annual festival, trilobite fossils from the local hills and Roman-era finds from Valongo’s ancient mines. There are also artefacts from the local baking, linen processing and slate mining that were cornerstones of the economy until the end of the 20th century. The westernmost neighbourhoods in Gondomar are just five minutes from the imperious home stadium of FC Porto. 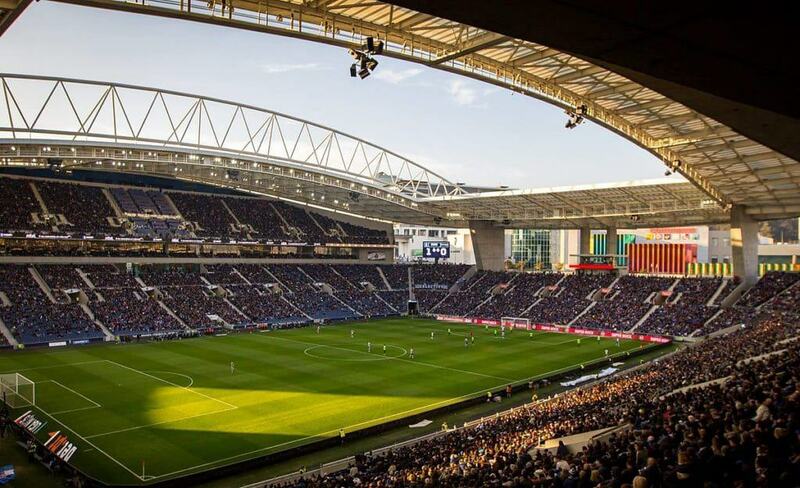 It’s the second largest ground in the country, fitting for Portugal’s second most decorated team behind Benfica of Lisbon. Porto have won two European Cups/Champions Leagues and two Europa Leagues/UEFA Cups, and 27 domestic league titles. You can take a tour of the 52,000-seater arena and combine it with a visit to the club museum, both founded in 2003 in time for Euro 2004. If you’re a football fan you’ll be thrilled with the memorabilia, archive photos and accounts from some of the great coaches and players like Jose Mourinho, Deco, Falcao, João Domingos Pinto and James Rodríguez. On the east side of Porto you’re never too far away from the ocean, which is about 20 minutes across town, traffic permitting. But the Gondomar municipality has its own beaches beside the Douro, and as the city thins out these are surprisingly spacious and picturesque. They actually have a couple of advantages over the ocean, in that you’re protected from the wind, won’t have to jostle with surfers and the river waters are transparent, shallow and safe. Praia Fluvial de Zebreiros is the pick, with calming views of the pine covered hills on the left bank, but Melres, Areinho and Lomba are good alternatives. After watching the Douro flowing past in Gondomar you might be ready for a brief jaunt on the river. That can be done from Vila Nova de Gaia, either in a modern cruise boat or in a replica of a rabelo if you want to make it a bit more authentic. These trips last up to two hours and normally have multilingual commentary filling you in on the compelling history of the Douro. You’ll get a different point of view of the two 19th century bridges designed by the Eiffel company, Porto’s Ribeira quarter, the lodges in Vila Nova de Gaia and the wooded hills as the nature takes over from the city to the east. Another day out for kids on the opposite bank of the Douro is a 34-hectare nature reserve that is educational in a stealthy way. A tributary of the Douro, the River Febros, weaves through the park, powering mills and supplying water to ponds and tanks with local aquatic life. There’s woodland with oaks and pines, and typical rural farms with granaries, those watermills and domestic animals for children to befriend. 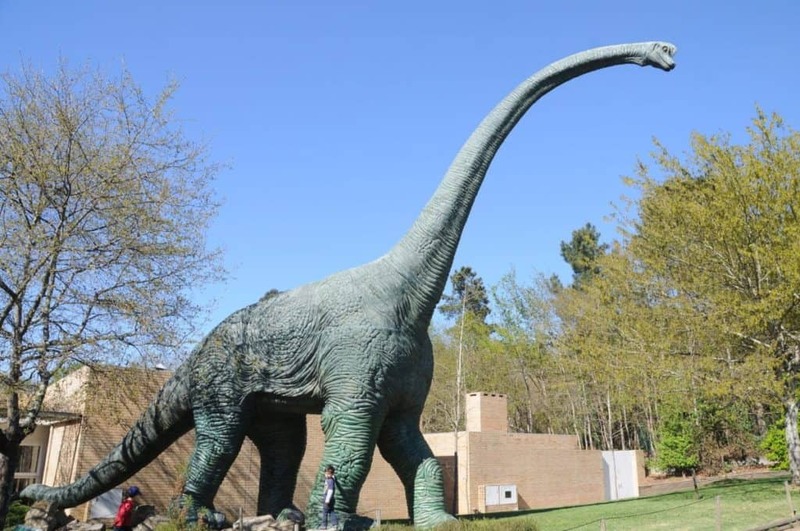 The park also has a pavilion with life-sized dinosaur models and a bird rescue centre where local avian species like griffins, eagles and oystercatchers are nursed back to health before being rereleased. 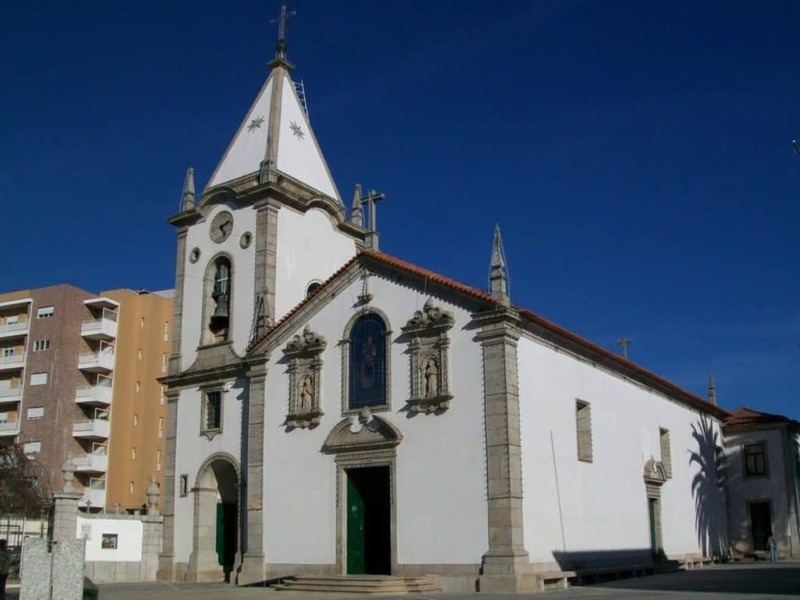 The liveliest annual celebration in Gondomar is the Festa de Nossa Senhora do Rosário, which has been going for more than 300 years. This is on the first Sunday of October and is a kind of harvest festival, when people take part in a big procession with carts full of walnuts, drink vinhodoce fortified wine and eat reguiefa, a special pilgrimage pastry flavoured with cinnamon. 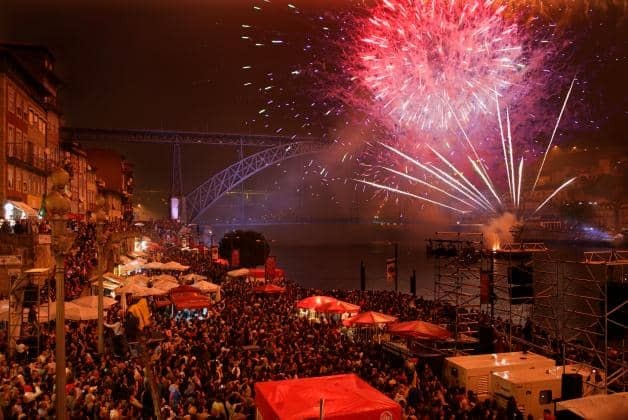 June 24 is St John’s Day, which holds special meaning in the Porto area. The night of the 23rd there’s the wild Festa de São João in Porto, and the day after you should be in Valongo for the Bugiada, a very distinctive celebration when locals dress up as Christians or Moors dance in the streets to simulate a battle. While you’re so close to Porto it’s reassuring to know that there’s some nature for serene walks. There are two small mountain ranges just north of Gondomar, coated with aromatic pine forest and harbouring some interesting things to track down. There’s an interpretation centre in Morada, shining a light on the trilobite fossils discovered in the area, now protected as the “Paleozoic Park of Valongo”. Another exciting feature in this area is the evidence of Roman-era goldmines, with a couple of safe tunnels to investigate.